Alex is a NYC paramedic with over eighteen years of 911 experience and was a first responder to the 9/11 attacks. He holds an MBA in Finance and International Business, and is currently enrolled in an MPH program for Health Care Management. In addition Alex is Lean Six Sigma Black Belt certified and has successfully spearheaded many cost driven consulting projects within the health care industry. In 2011 while working in the finance department of a national ambulance company Alex discovered a void in the market when it came to quality on-site event medicine. Always the entrepreneur and armed with his business degrees and knowledge of the medical field, ParaDocs Worldwide, Inc. was born. From purely organic growth, Alex has taken his small startup into a nationally recognized brand with offices in six states and over 1,600 employees. On his spare time Alex also volunteers for his communities’ ambulance service and serves as the chairman of Ambassador Foundation, Inc.; a nonprofit [501 (c) (3)] organization that supplies peer-based safety personnel to large scale event and productions around the world. Doctor Thum joined our team as our northeast medical director in early 2012. Dr. Celine Thum is a board certified Emergency Physician, Director of Emergency Medicine Ultrasound at Jamaica Hospital Medical Center, and a Ringside Physician for USA Boxing and the New York State Athletic Commission. Prior to her medical career, Dr. Thum was a collegiate and nationally ranked badminton player as well as a concert violinist. Her love for music, sports, and medicine has been the catalyst for a natural transition into the field of Event Medicine. Dr. Shaukat joined our team as staff physician in 2016 and is a board certified, Emergency Ultrasound- Fellowship trained Emergency Physician, currently holding the title of Associate Director of Emergency Ultrasound and Associate Fellowship Director of Emergency Ultrasound at New York Presbyterian-Queens. Dr. Shaukat comes with several years of previous EMS experience and multiple research publications and posters, as well as having lectured both nationally and internationally. Dr. Shaukat combines her passions of EMS, education, fitness and international health and brings to Paradocs a focus on evidence-based medicine in a high-paced, resource-limited setting. Dr. Adelberg is a board certified emergency physician with almost 60,000 hours of emergency department experience. He has been practicing medicine for almost thirty years before joining the ParaDocs family in 2014. After graduating from the University of Western Ontario in London, Ontario, Canada, he completed his residency in Emergency Medicine at Medical College of Ohio in 1987. His certifications include Emergency Medicine, Advanced Cardiac Life Support, Advanced Trauma Life Support, and Opiate Treatment Certification. Dr. Adelberg is licensed in nine states and in the Province of Ontario, Canada. Additionally, he is also the Medical Director for Okeechobee County Fire Rescue, Okeechobee City Fire Department and the All County Medical Ambulance Service. He provided the emergency physician staffing for Raulerson Hospital in Okeechobee, FL, for nine years and was Emergency Department Medical Director for 14 years. Dr. Adelberg also practiced emergency medicine and occupational medicine in the city of Milwaukee from 1993 to 2010 at Wheaton Franciscan – St. Joseph Campus and St. Francis Hospital. Dr. Adelberg is an airline transport pilot and operates a company aircraft in order to provide quick response to his regional client's facilities. Doctor Barron joined our team as our Pacific Region Medical Director in 2017 and is also our Electronic Dance Music festival specialist. After graduating from Yale University Medical School, she completed her Emergency Medicine residency at the UCSF-Highland Hospital Alameda County Medical Center. Dr. Barron is a board certified Emergency Medicine physician and is also a Drug Medical Review Officer and an Advanced Trauma Life Support Instructor. Dr. Barron is located primarily in California, but also holds states licenses in Nevada, New Mexico, Texas and Washington state. Dr. Barron fell in love with electronic dance music during her medical training and has continued her passion by working at over thirty festivals ranging from Electric Daisy Carnival events to Coachella. Dr. Barron is also trained in Wilderness Medicine and has worked as an Expedition Physician in the Alps and K2. Dr. Barron will be completing her Diploma in Mountain from the University of New Mexico in 2018 bringing additional knowledge and experience with delivering high quality austere emergency medical care. When she is not climbing mountains in the Alps, she can be found hanging out in the San Francisco Bay Area with her three amazing kids, dog and kittens. Known affectionately as Dr. “Lou” or Dr. “Rock” – Dr. Lou Rotkowitz joined our team back in April 2015. Dr. Rotkowitz completed a Surgical Trauma Internship and is Board Certified in Family Medicine and Urgent Care. In additional to being a practicing Emergency Room Physician, he devotes his time caring for Firefighters and EMT’s affected by the World Trade Center Disaster. Lou enjoys teaching Prehospital Care Providers and volunteers his time as a Police Surgeon. He is a Ringside Physician for USA Boxing and the New York State Athletic Commission. Lou can also help you find the best Pizza and Pastrami in New York. Having graduated with honors and as valedictorian of Dorothea Hopfer School of Nursing in 2004 Marina has been a member of our team since our very first event. Featured on an array of television shows including ABC's "NY Med" Oprah Winfrey Network's "NY ER", The Dr. Oz Show, and The Chelsea Lately Show Marina is a familiar face to the public eye. She is also the nurse advocate for HeartSoulScrubs and has been featured on the cover of Scrubs Magazine. In addition to her duties as nursing supervisor at ParaDocs, Marina works as a part time nurse at New York Presbyterian Hospital, Weill Cornell and works with her world renowned brother Mario Dedivanovic on his makeup collection and The Master Class. Christina joined ParaDocs as an EMT and continued her training to become a Registered Nurse. As her training increased, so did her roles and responsibilities at ParaDocs. She has held several positions within our organization, and is currently our Nursing Supervisor and Charge Nurse at larger events and festivals. With a Bachelors of Nursing from SUNY Downstate, Christina has had an eclectic career within the nursing field. She is a lead trauma nurse at Maimonides Medical Center in Brooklyn, NY and is currently studying to obtain her CEN. Bilingual, fluent in both Chinese and English, Christina has the outgoing personality that makes her the perfect candidate for training new nurses and managing new projects. 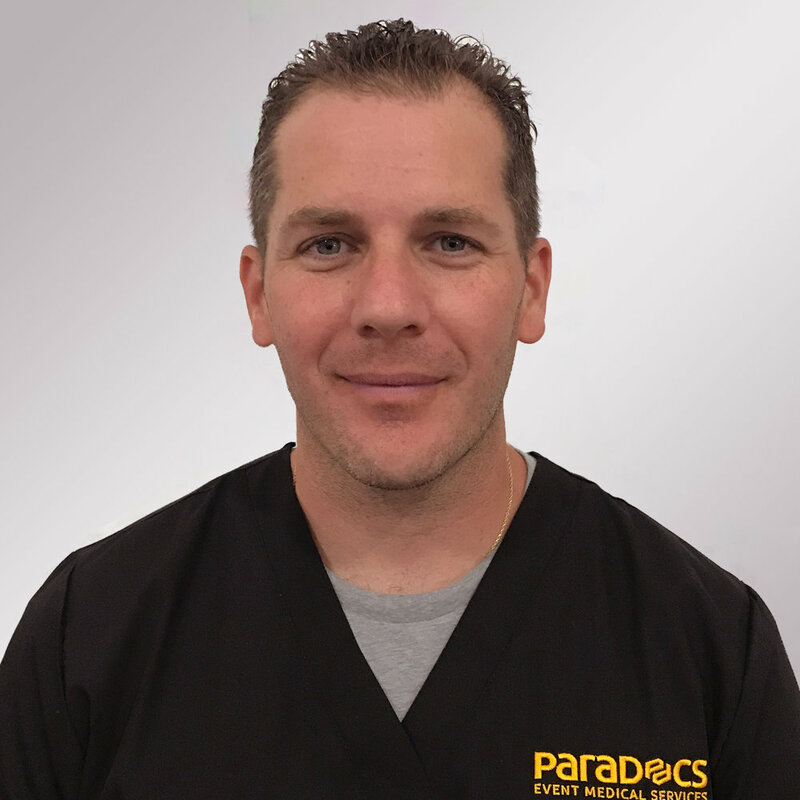 Leo joined ParaDocs in 2013 as an EMT and quickly ascended the ranks of our organization. He earned various skills and experience working within the NYC 911 system at a voluntary hospital in central Brooklyn, as a supervisor at an ambulance company, as well as within the mental health field with autistic children, helping families through intense at-home family therapy with the MST (Multisystemic) model. He also has experience in the finance field as a Billing Coordinator. In his current role of Director of Operations and Human Resources, Leo oversees our day to day operations. He has developed a rapport with all of our clients and with many state and city agencies, always ensuring that we exceed their expectations of exceptional customer service and excellent patient care. Leo oversees all festival pre-planning and operations. Music, EMS and teaching are his passion. He always encourages a cooperative work environment and reminds our staff with his favorite catchphrase, "teamwork makes the dream work!" Prior to joining the ParaDocs Team, David worked for one of the nation's leading and largest EMS providers as a Risk Manager and Special Events Supervisor. He has over 10 years working in the NYC EMS system and spent several years as an EMT instructor. He also worked for DeVry University as an Information Technology Specialist and Web Developer before entering the field of pre-hospital medicine. David plays a crucial role to our organization, overseeing the development and deployment of ParaTrak, our proprietary patient tracking and incident logging system. His experience along with his knowledge of information systems has enabled us to develop this application that sets us apart from other companies in the industry. Additionally, he oversees our medical command center at large-scale events such as music festivals, marathons and other mass gatherings. Jon has spent 20 years in public service. 7 years as a firefighter and 19 years in Emergency Medical Services as an EMT and Paramedic. 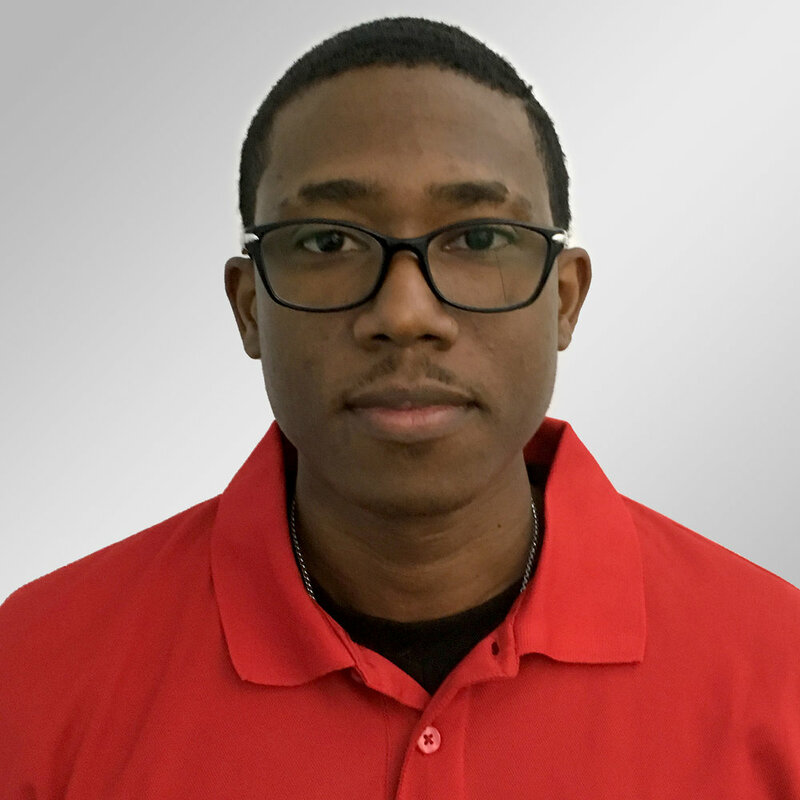 Jon started his service career in the NY Capital District area before working at American Medical Response in NYC as an operations supervisor and quartermaster/inventory control specialist. He quickly transitioned to municipal service. Jon joined the FDNY working as a paramedic in Brooklyn, spent 2 years with the Office of Medical Affairs SmartCPR research initiative, 3 years as an APCO certified EMS citywide senior dispatcher in a service handling 1.4 million EMS calls a year. With National Incident Management training from US DHS, he was promoted to rank of Lieutenant in 2015. After a year as a tour supervisor for the FDNY Operations control center moved on to be a tour supervisor at FDNY EMS Bureau of Communicartions Emergency Medical Dispatch. His extensive background and experience has led him to a position of Communications Supervisor for ParaDocs overseeing dispatch operations and as a joint agency operations liaison. He provides operational planning and logistics initiatives and authors many agency SOP’s. Jon has spearheaded the company's ever-expanding inventory management control system needs with the proprietary PICSys program as well as advancing ParaDocs’ Harm Reduction Management Initiative. In his free time, Jon has enjoyed working sporadically as a club and wedding DJ over the last 20 years. As well, he is an avid outdoorsman, minimalist hiker and camper and also a preparedness and wilderness survival practitioner. Cassie joined our team in late 2015 as our Accounting Manager. She has a Bachelor’s Degree in Finance from Baruch College and is currently enrolled in an MS program for Accounting and Taxation. She is also an Enrolled Agent and is planning to sit for her CPA exam later this year. Cassie has a wide range of knowledge and experience in accounting and taxation and has been able to apply her knowledge to help continue ParaDocs grow. Anna has been part of our team since the beginning. She brought a valuable skillset with her that she obtained over her career. Achieving a degree in Interactive Media and working as an Entrepreneur in the IT world she worked on small to large scale projects starting with Graphic Design, Web Development/Design, App Development and Software Development. She also volunteered for a few years as Media Director for ICCA. Having over 15 years experience in Business and Restaurant Management combined she crossed over into the medical world. She became an EMT-B and so began her career in EMS moving through the ranks of a national ambulance company as a Staff Coordinator and becoming a Project Manager specializing in Lean Six Sigma and becoming a Black Belt. As a Lean Six Sigma Black Belt she was able to take on any task and achieve a favorable outcome by helping train and create leaner processes and saving the company lost monies. 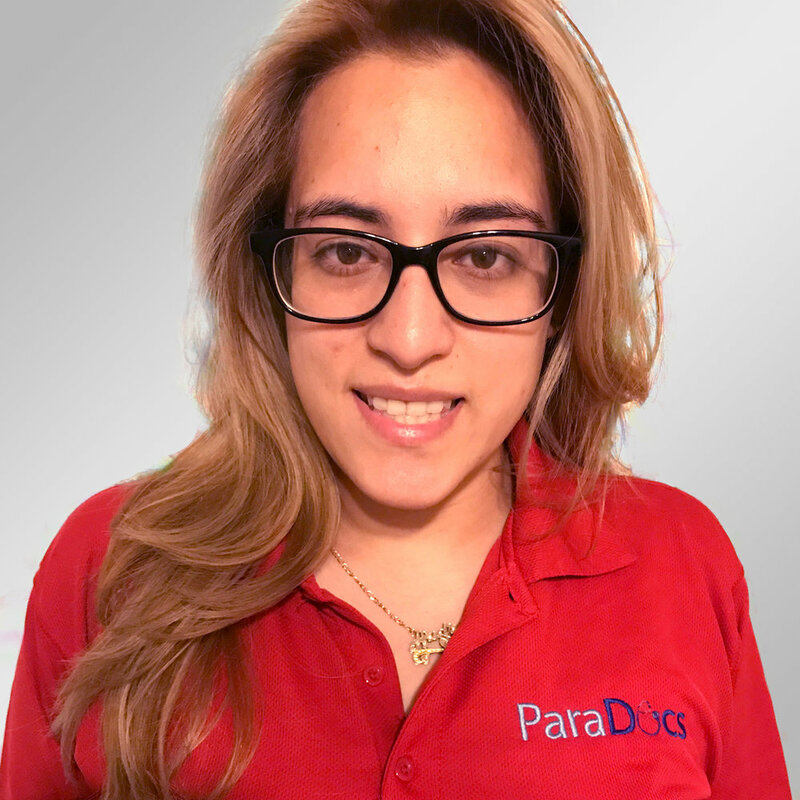 As part of our team here at ParaDocs she takes on the responsibility of Payroll, Billing, Projects, HR and the backend for scheduling events. In her spare time she enjoys getting her “geek on” and doing some coding in the computer world. As well as creating artwork and helping the less fortunate.